I managed to get in one fantastic hike every month. It was a great winter – once it got started, there was deep snow and many days with outstanding conditions. Unfortunately, I didn’t have much time to get out and enjoy it. Still, I managed to get in one fantastic hike every month. I had the good fortune of spending two sunny September weekends at the new Moosilauke Ravine Lodge. Despite summiting this mountain a dozen times last year, I just can’t stay away. This weekend I headed up the mountain early on a sunny Sunday morning with two good friends – my ’86 classmate Jen and her husband Lars. After dropping overnight gear at MRL we strolled up the Gorge Brook trail with 3-4″ of fresh powder to decorate the trees and soften the earlier hard-packed base. The blue skies did not last, but the grey overcast stayed high and we were treated to spectacular views of the Whites from the newly re-opened overlooks. 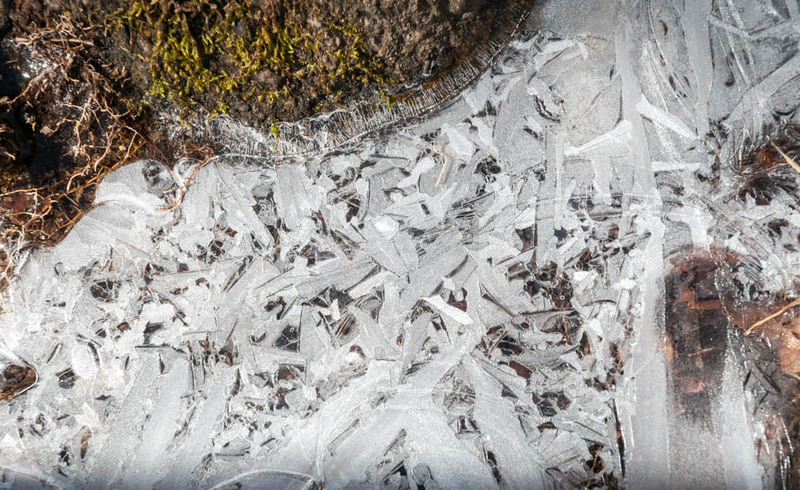 The summit was freshly coated in delicate rime-ice feathers, but the wind was calm and the temp reasonable so we were able to sit and enjoy the view with about a dozen other hikers who reached the summit at noon. Check out the photos! 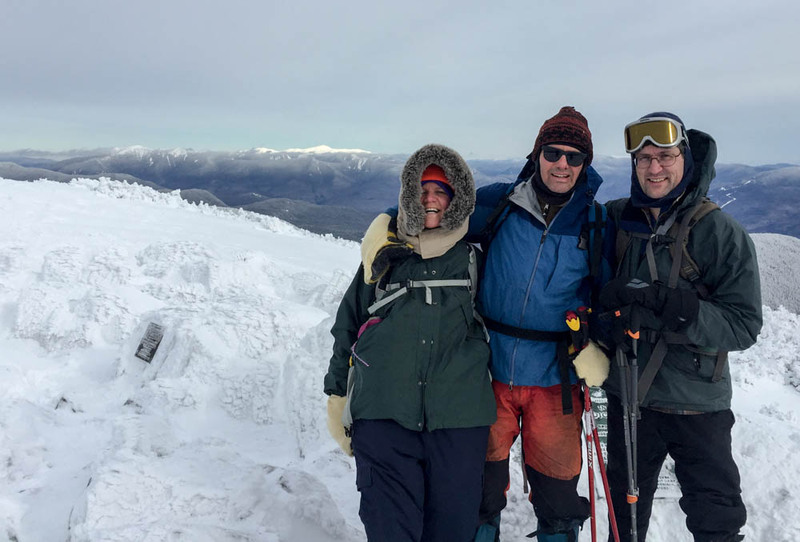 Jen, Lars and David enjoy calm weather on the summit of Mount Moosilauke. Photo by Jen Botzojorns. After a quick descent we retired to John Rand cabin for a delicious dinner (thanks Jen! ), joined by another classmate Lelia and the Hooke family. The Hookes and I stayed overnight, as a light snow began to fall. With 3″ by breakfast and 6″ by our noon departure, with heavy snow continuing, it’s beginning to look like Winter has finally come to Moosilauke. 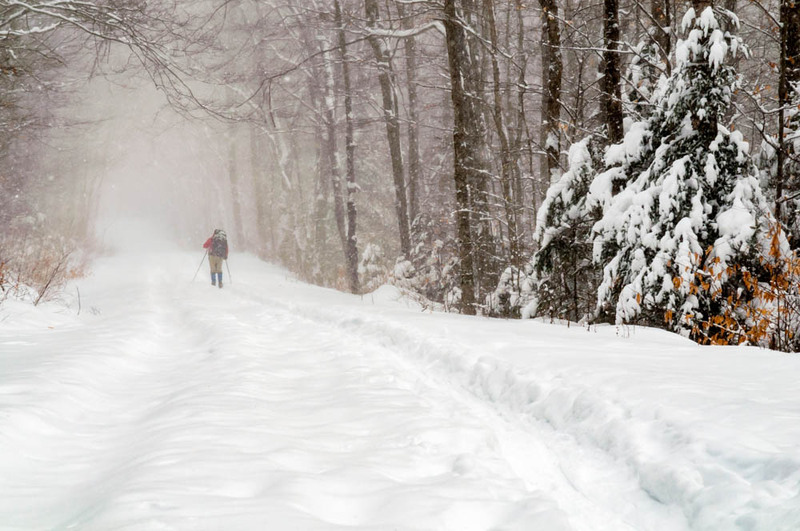 Skiing out from Moosilauke during a snowstorm. 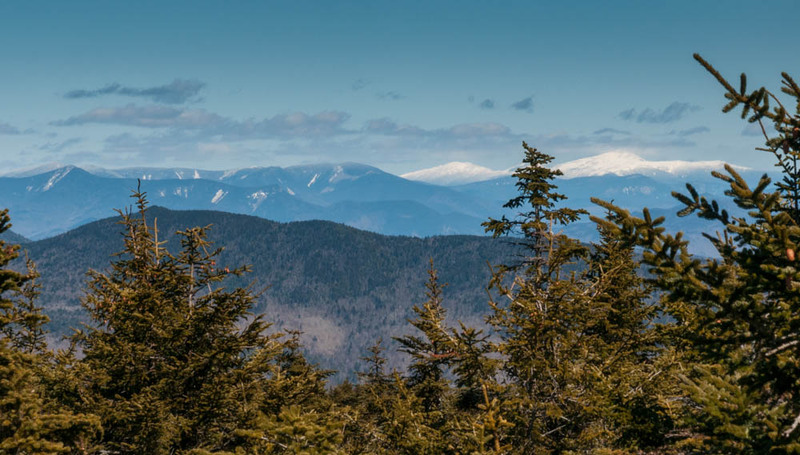 I’ve probably hiked Moosilauke over 60 times – I just love this mountain. 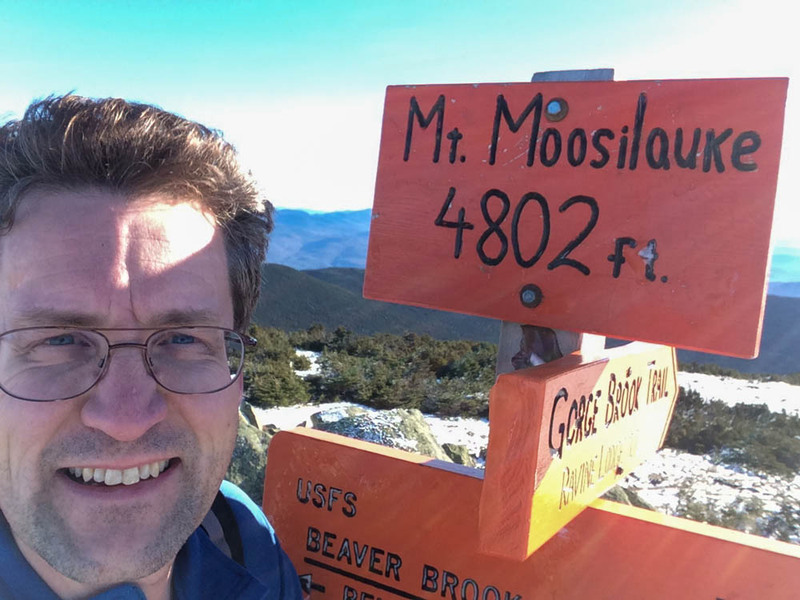 For 2015 I decided to “grid” Moosilauke by climbing it at least once per month (some people are crazy enough to climb all of the 48 of the NH 4,000-foot mountains every month of the year, aka, “The Grid“). To avoid too much repetition, I also decided to “redline” the mountain by traveling all of its trails at least once. I had not visited some of these trails in over 20 years! It was fun to get up there in all seasons and in a huge range of conditions from nasty winter white-outs to glorious sunshine. Today I finished, on one of those gorgeous blue-sky days on which you can see all of the Vermont and New Hampshire peaks. See all 12 months and more photos here. Moosilauke summit on a beautiful, sunny, warm(!) December day. It was a beautiful fall in New Hampshire! I’ve gathered a few of my favorite photos in a SmugMug photo album. 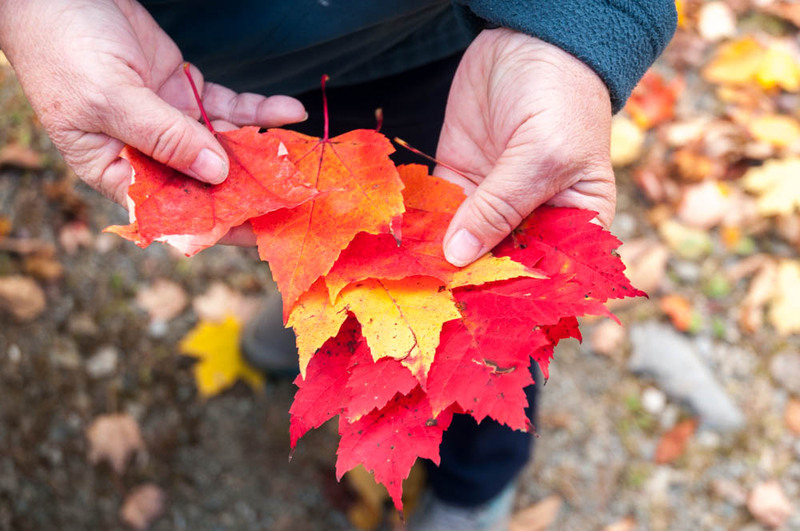 A selection of leaves from a walk through the woods of Lyme NH.